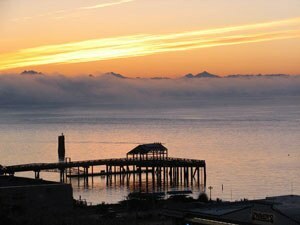 You won’t need a car to take advantage of all the activities and services that Port Townsend and the Olympic Peninsula have to offer. The Hastings Estate Company has contacted several passenger vessel operators who have indicated a preliminary interest in establishing or expanding service to and from Port Townsend utilizing the passenger vessel terminal at Hasting Landing. Once the terminal is in operation, passengers will be able to take a passenger vessel from various points of departure and disembark right in the heart of Port Townsend’s Historic District, without a car! Above: View of Union Wharf and Port Townsend Bay from the deck of the existing building on the site of the future Hastings Landing Passenger Vessel Terminal and Hotel. Calling All Passenger Vessel Operators! 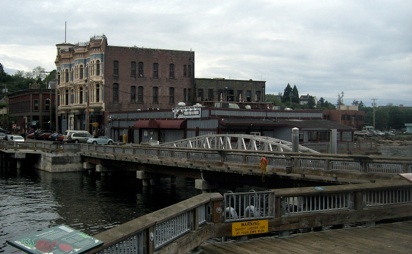 The Hastings Estate Company is currently in the planning phases to replace the existing single-story structure behind the Hastings Building with a multi-story full-service Passenger Vessel Terminal (Hastings Landing), including high-quality boutique hotel accommodations and facilities for vessel passengers via Union Wharf in downtown Port Townsend. Passenger Vessel Operators who are interested in developing routes to and from Port Townsend are invited to contact the Hastings Estate Company to discuss the terminal project. We are interested in providing a landing site for multiple passenger vessel operators and will work with you to market your services and to develop and promote package programs that include passenger vessel travel to and from Hastings Landing in Port Townsend, WA. For more information, contact our Project Manager at heather@hastingsestate.com or by phone at (206) 387-9846. In addition to the many excellent shops and businesses that will be located inside and within walking distance of the Hastings Landing Passenger Vessel Terminal and Hotel, we will work to establish relationships with local ground transportation operators to provide accessible general transport and tour options throughout Port Townsend and the greater Olympic Peninsula. If you decide your car is still necessary for day-trips, for example going for a morning hike in the Olympic National Park or a surfing trip to Crescent Beach, we are developing valet and self-park options near the downtown core for passenger vessel riders and hotel guests. For more information about this exciting project, contact our Project Manager at heather@hastingsestate.com or by phone at (206) 387-9846. And keep your eye on this website for project updates.